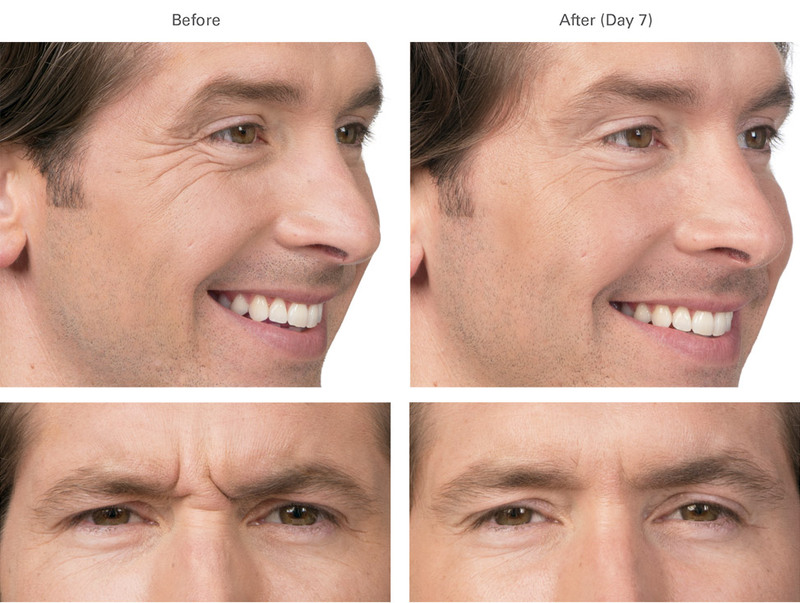 In addition to the healthy glow of corrected skin, there are various other tools available to assist in removing signs of aging, which allows us to “age gracefully.” As we grow older, it is common for crow’s feet to form and frown lines to show themselves over the forehead and between our eyebrows. This is due to the loss of elasticity within the skin. Underneath your skin, your facial muscles contract, which causes a pleating of the overlying skin, and then, as anyone can see, you’re frowning. After years of facial animation, those lines start to linger longer and can become more pronounced. For those whose faces tend to be more animated and whose skin is typically more delicate, these lines may appear exaggerated and more permanent. Botox can relieve the constant contraction of the muscle leaving the skin surface relaxed and wrinkle free. While this is usually not reversible, with the development of Botox as a cosmetic treatment, we are able to obtain a much more youthful appearance. 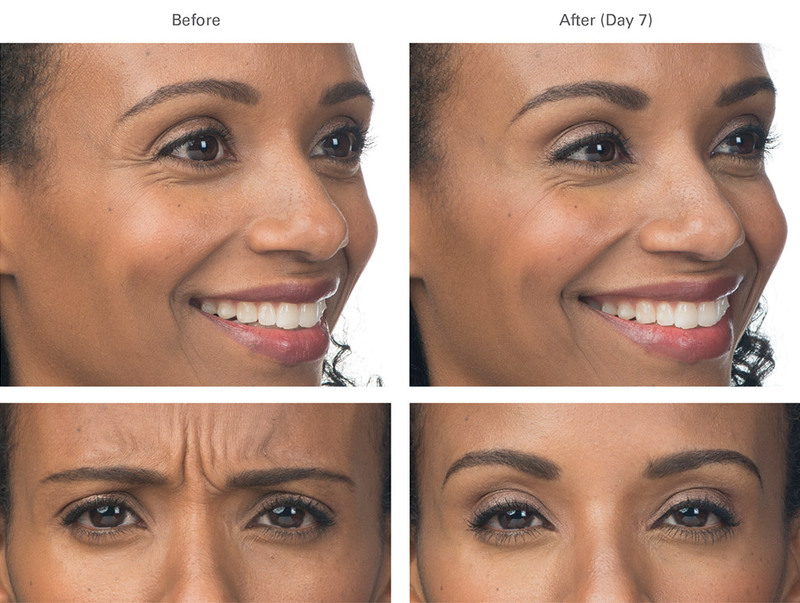 In addition to temporarily correcting the appearance of established wrinkles and lines, Botox also helps prevent new wrinkles and lines from forming. IT SLOWS DOWN THE APPEARANCE OF THE AGING PROCESS! 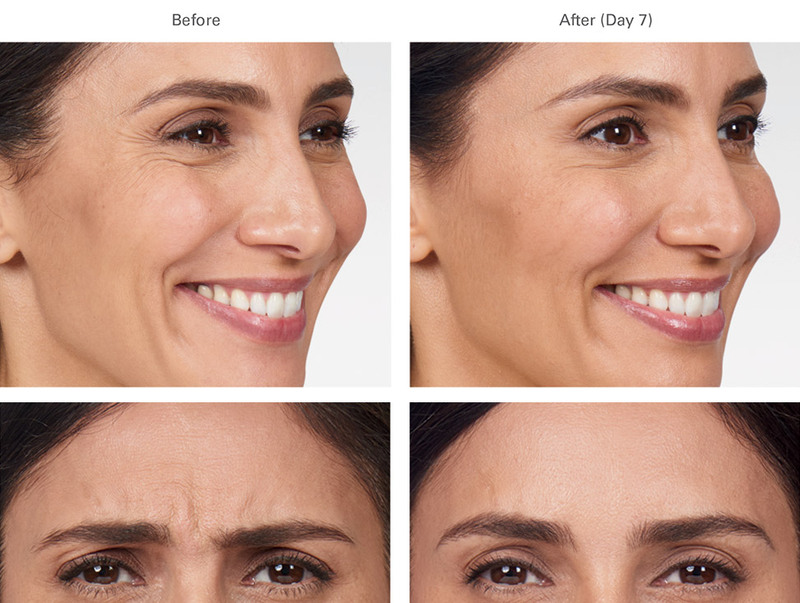 This is why this wrinkle reducing effect has deterred individuals from progressing to more invasive procedures such as browlifts, facelifts, and other cosmetic surgeries. BOTOX® Cosmetic has been used for nearly 20 years to treat a variety of medical conditions after being (and continuing to be) extensively researched. The entire treatment takes approximately 15 minutes and there is no downtime with results lasting up to 4 months. 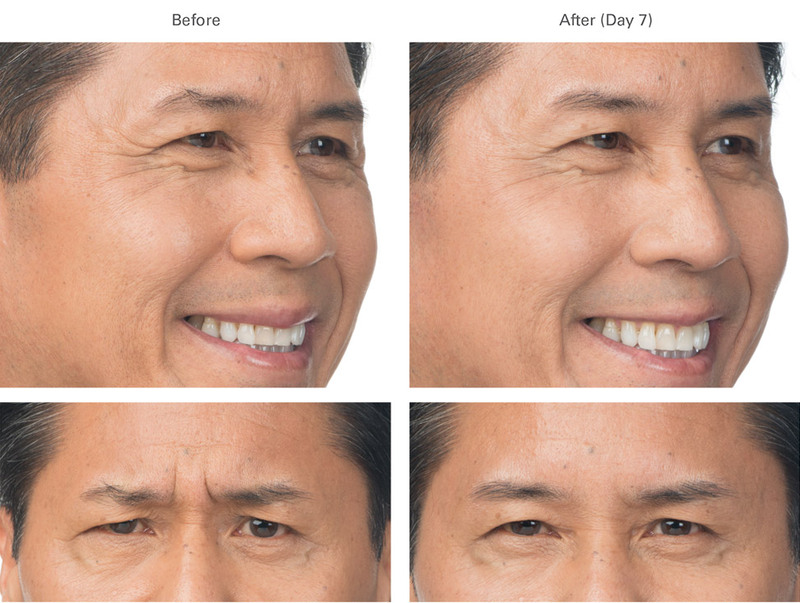 Overall, these injections are safe, used by millions of people of all ages, genders, and ethnicities, and will result in a much more youthful appearance. They help stop signs of aging, give definition to the skin, and can remove the need for much more invasive procedures later on in life. If you are concerned about discomfort, your provider may apply a topical numbing cream before administering your treatment. Treatment requires minimal downtime or recovery; it’s often called a lunchtime procedure. You’ll be able to go about most of your normal routine immediately after you leave your provider’s office!